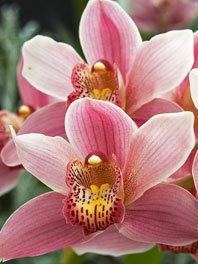 Cymbidium Orchids are of the most desirable and hardy varieties of Orchids available worldwide. 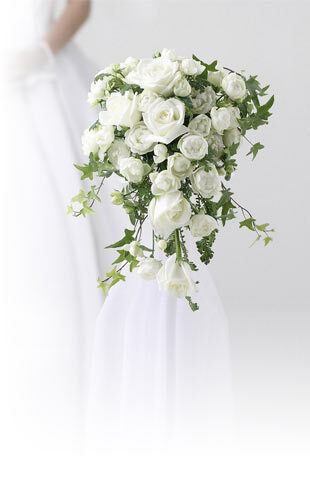 They have large, fragrant blooms with robust waxy petals atop extremely long stems that can add height and drama to many occasions from weddings to proms. Being among the most heat and wilt-resistant of all orchids, they are an ideal Orchid for summer wedding bouquets, corsages, or as a simple and colorful table piece. Cymbidium Orchids come in red, burgundy, yellow, peach, white, or green blooms and can also make awesome gifts for a loved one or serve as a beautiful arrangement to add life and flare to any room. The Cymbidium Orchid has a vase life of 4 to 6 weeks. To care best for your Orchids, note that the warmer the room, the shorter the vase life will be. To get the longest life out of them, place them in a cool place, away from open windows and strong draughts, fresh fruit (which cause them to wilt more quickly), or direct sunlight. When it comes to premium flower delivery Flower Explosion has one of the quickest times from cut-to-customer in the industry. There are no middlemen to mark our prices up. Remember to see our wide variety of cymbidium orchids for sale and schedule your delivery two days prior to your event to allow sufficient time to hydrate your Orchid flowers.